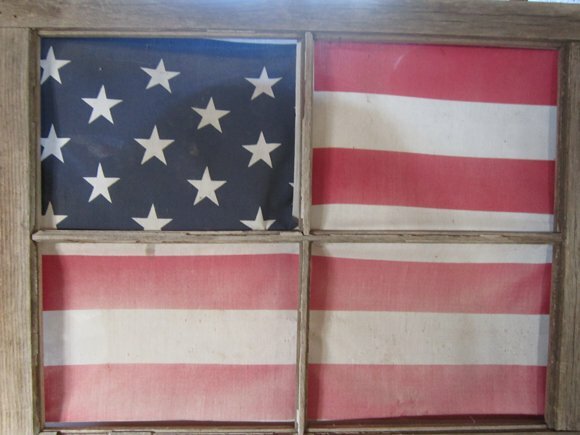 I have had this old window frame with this flag panel in it for years. I LOVE it, but as you can see it is really faded. So I thought it was time for some updating. 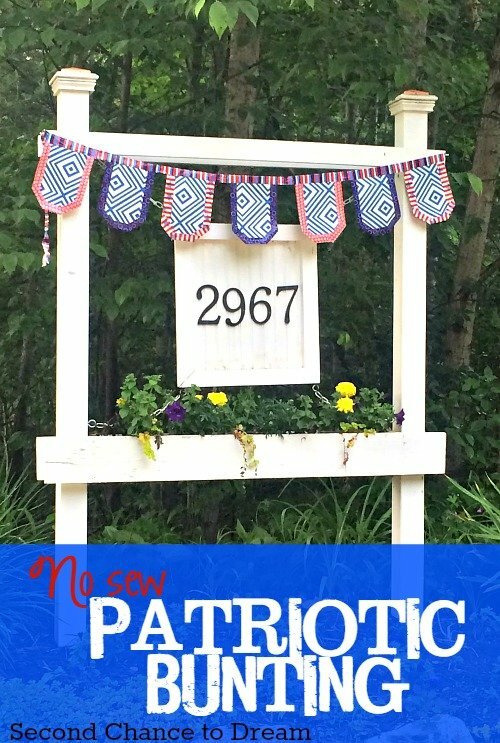 I’ll show you how I made my Upcycled Window Pane Flag. We had some wainscoting that was left over from our banquette seating project and thought that would work great if I ran it horizontally. 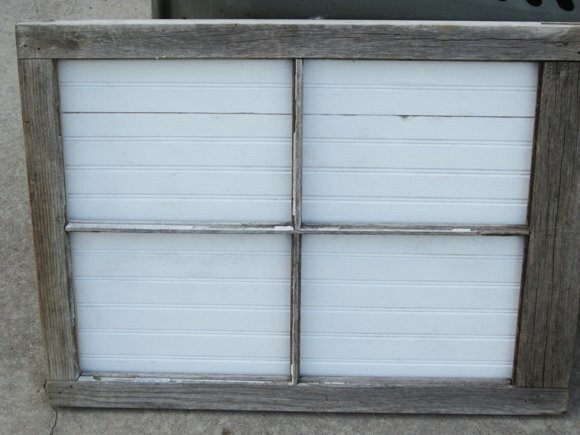 I had my handy hubby cut me a piece that would fit the window frame..
Silhouette machine if you have it. First step: spray paint your wainscoting white. 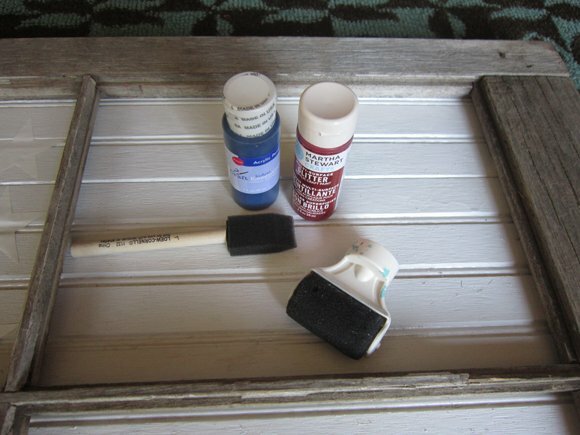 When the paint is dry nail it to the frame. I then painted the upper left hand pane navy blue and then painted each strip with red paint. I left the white stripe alone. 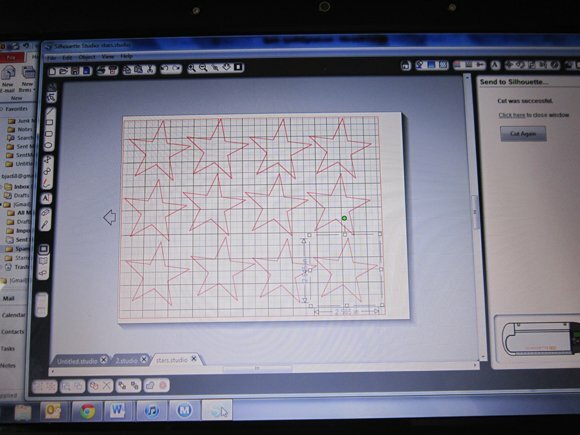 For my stars I used my silhouette machine to cut them out. I used the heavier vinyl instead of the thinner stuff. The thinner didn’t want to adhere to the wainscoting. The thicker vinyl adhered very well. I cut 12 and used 10. 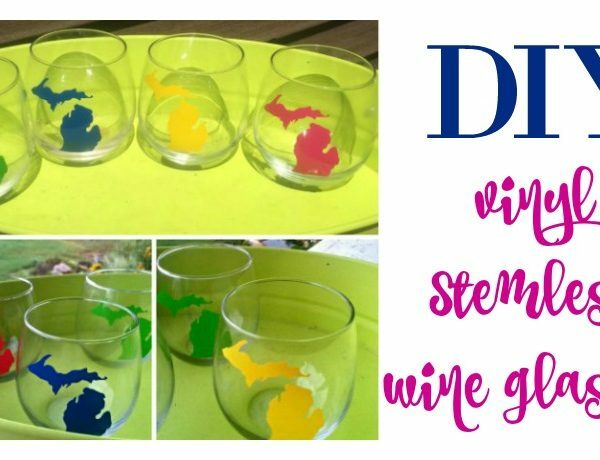 If you don’t have a Silhouette or Cricut you could just cut them out by hand. 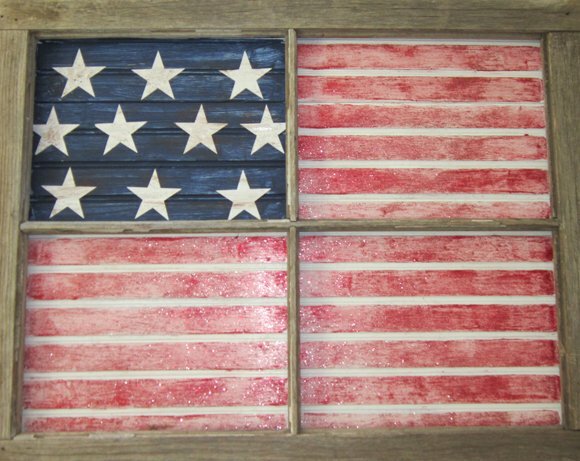 After I put the stars on the flag, I lightly dry brushed some brown paint to antique them. 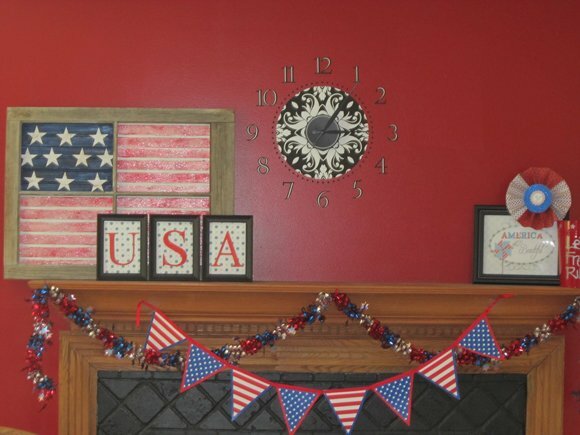 I put it on my mantel with my USA frames that I made last year for 4th of July. Here is a picture of the whole mantel. If you enjoyed this post why don’t you subscribe via Facebook, RSS Feed or Email. Thanks Amy. I really like how it turned out. Have a great weekend! This turned out beautiful. 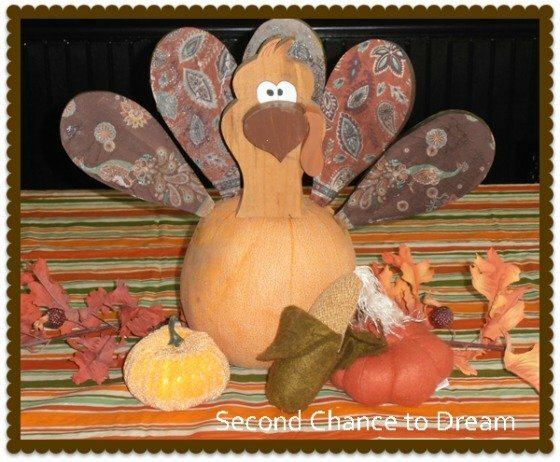 Thank you for sharing it on my Our Favorite Things link party. 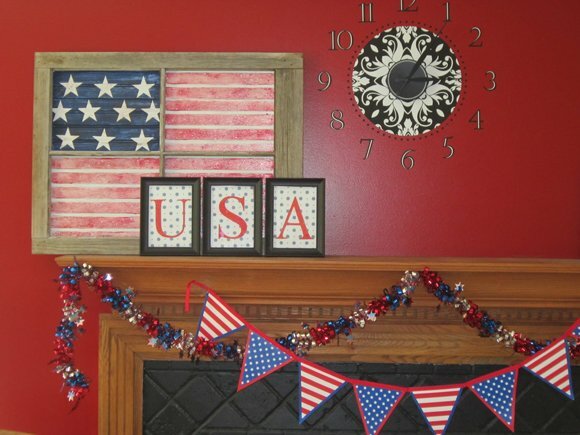 <a href="http://www.mylifesatreasure.blogspot.com/2012/06/our-favorite-things-link-party-3.htmlhttp://www.mylifesatreasure.blogspot.com/2012/06/... />You have a beautiful mantel. Thank you Judy! I did stop over to your cute blog and I am now following you. Thanks again! I love how this turned out! 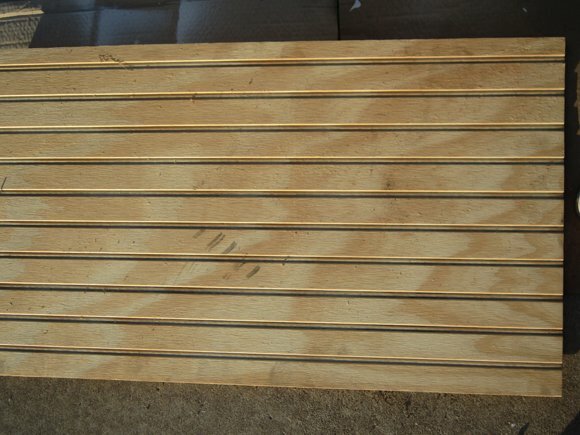 I never would have known that was beadboard when looking at the first photo. Thanks so much for sharing on Tout It Tuesday! Hope to see you next week. I absolutely love this. It's perfect that it coordinates with your walls too. What a wonderfully creative idea! It turned out fabulous! I love how the slats are the stripes for the flag. Very cool idea! It looks great on your mantel. Thanks for linking this up at The Fun In Functional! Thanks again for linking up! Stop in next week...I'm featuring your window flag! Karri, Thanks so much! I appreciate it. LOVE how it turned out Barb!!! Very original!! That is such a great idea! I love it! Thanks for linking up. 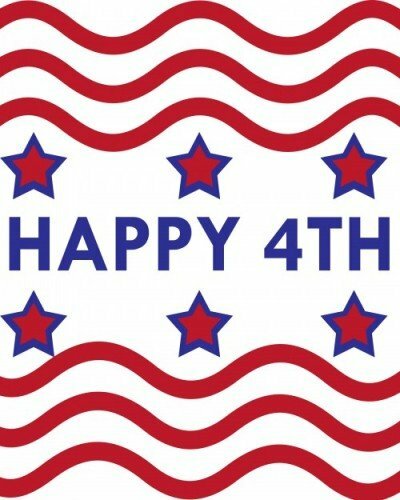 Happy Independence Day from the North! A nice secure fit to your windows with such artistic design use to lift up spirits. The day of Independence! Thank you Robin! Thanks for hosting. Thanks so much for sharing. I love pulling my window out each summer. Have a great day and thanks for hosting so I can share.